What exercises are safe when trying to conceive? I have 3 basic rules when it comes to safe exercise and fertility. These rules also apply during pregnancy. Avoid anything that puts a down-bearing pressure or strain on your uterus. In Chinese medicine, we use fertile pressure point therapy, like the protocols I teach in my online program, Fertility Activation Method™, acupressure and herbs to promote a lifting energy in the body and uterus. This helps to secure the embryo within the womb. It also helps the uterus and tubes to stay in proper alignment. Exercises like weight lifting can put a strain on the uterus. Some women have more of a tendency for the uterus to "fall" or a weaker uterine lining. This is often the case when there's a history of miscarriage. These women should take extra precaution not to strain their uterus. Excessive abdominal work (like Pilates) should be minimized, as well. Abdominal exercise can constrict blood flow to the uterus, as well as strain it. Avoid excessively sweating. Your fluids are crucial for the health of your fertility. Even if you hydrate like crazy, your body may become depleted of critical fluids that contribute to your fertility. Breaking a slight sweat is fine, but if you're dripping with sweat, you need to back off. Women who have light or short periods, skip periods, or have long cycles should take extra precaution. In this case, you're likely already fluid deficient. My goal through my acupressure protocols and my acupuncture treatments is to replenish your blood and fluid so that your eggs and lining are thriving and nourished. Qi is your life force energy. In our culture, we're accustomed to the idea that the more you exercise, the better. Regular exercise is great, but everyone's body is different. And sometimes less is more. If you're body is already exhausted and you're running on empty, excessive exercise will drain your adrenal glands. This signals to the body that it's under extreme stress. Not only will this take away from the precious energy needed to support your reproductive system, it will shut down your reproductive hormones. It's like your body is saying, "We can't make a baby now...we're under too much stress! It would be a risk!" I teach how to use acupressure to build up your qi and restore your adrenals and life force energy so your body feels safe and ready to make a baby. It's one of my main goals with my acupuncture and herbal treatments, as well. *This is Chinese style yoga. I teach exercises like these in my program, Fertility Activation Method™, because they also direct energy through the acu-channels of the body and can help to lift energy, replenish fluids and qi. Remember to always listen to your body! Want to know the exact steps I teach my clients to finally get pregnant even after they had tried everything else? 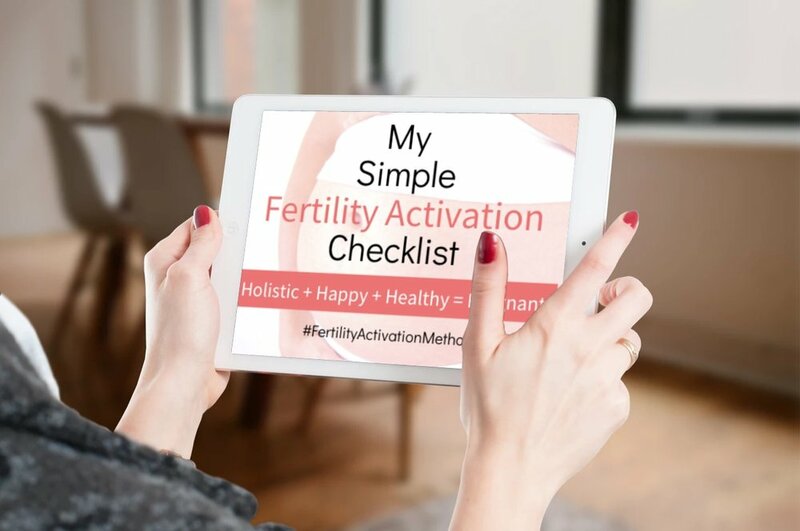 Learn my method to renew your faith in your ability to conceive and take back control of your body and health. (And if you are using fertility treatment, this will work for you too.) Click here to save your seat. I’m 16 weeks pregnant and everything is going great so far after being diagnosed with PCOS. Yay! Measuring right at what I expected!